Take a journey through the memories, perils, loss triumphs and humour of the men and women who served – and continue to serve – this country on the ocean waves. 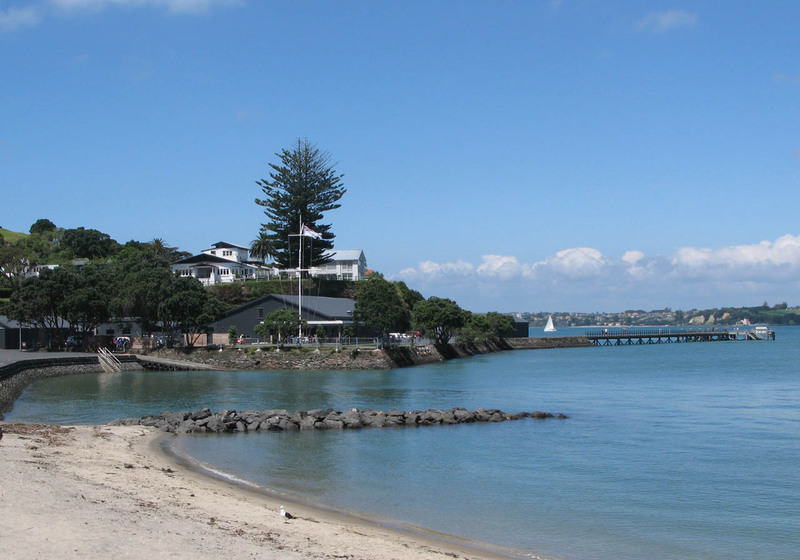 As an island nation, the sea has been crucial to New Zealand for travel, commerce, and defence. And the Navy has taken a key role in this country’s security and development. 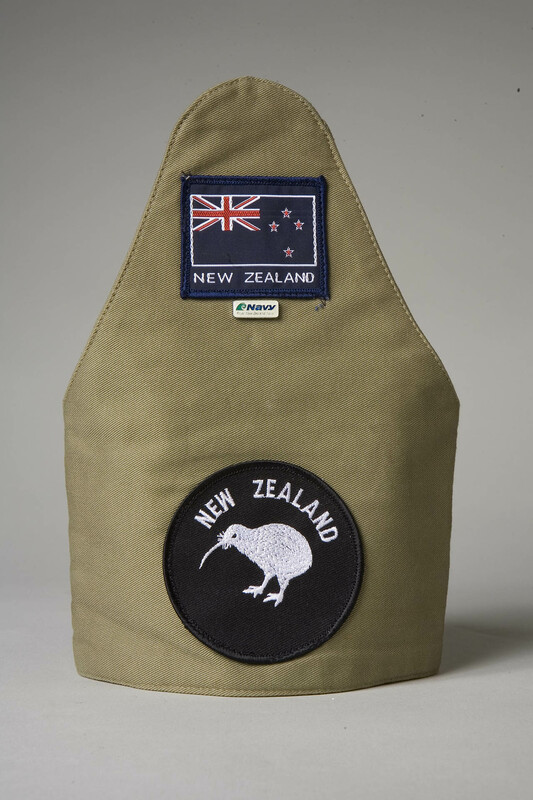 Take time to enjoy this unique organisation, its’ fascinating stories, its courage, comradeship and commitment as it serves New Zealand now and in the future. Explore a small sample of highlights below or visit our collections online here. 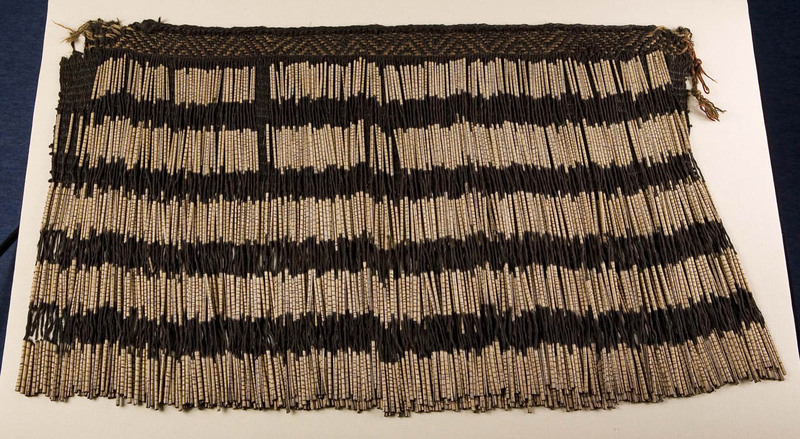 Worn while on peacekeeping duties in the Solomon Islands, 2000-2002. 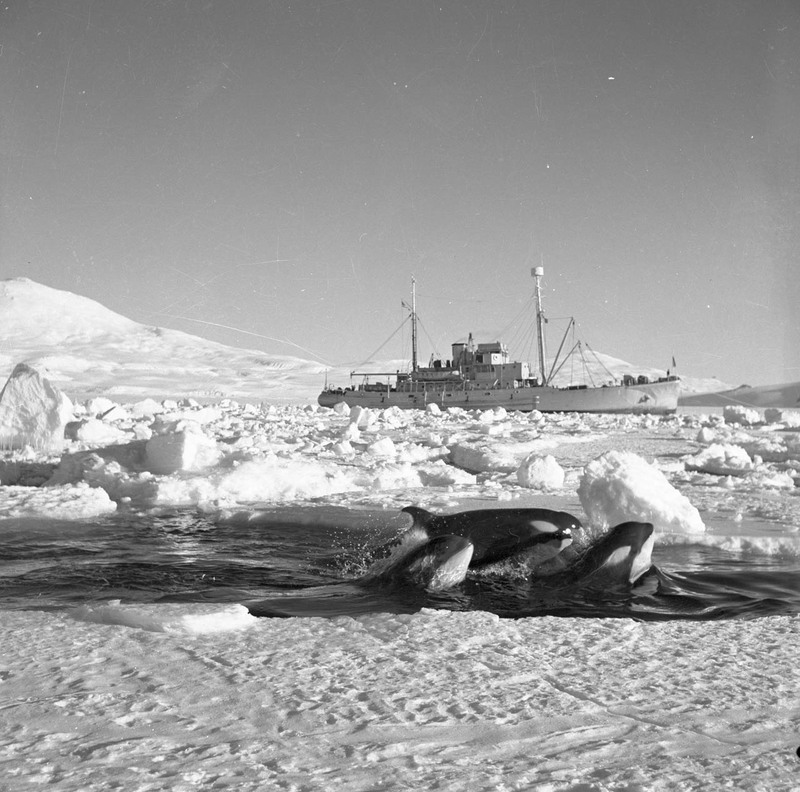 From the Museum’s extensive photographic archive: A large school of killer whales (Orca) spotted around HMNZS Endeavour on 6 January 1957, during the ship’s deployment to Antarctica in support of the Commonwealth Trans-Antarctic Expedition. 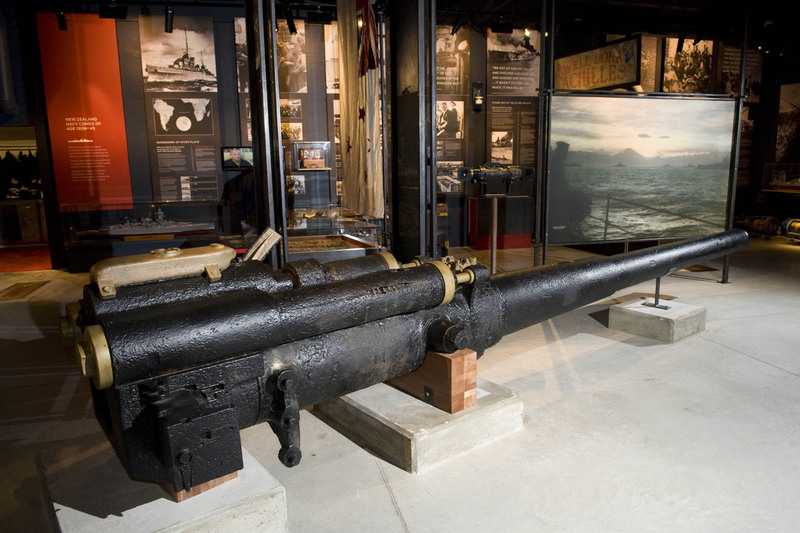 The I1 Gun was salvaged in 1969 from the wreck of the Japanese I1 submarine; sunk in the Solomon Islands in 1943, by New Zealand minesweepers HMNZS Moa and Kiwi. Achilles played an active role in the Second World War becoming the first ship ever to fly the New Zealand national flag in combat at the Battle of the River Plate in December, 1939. 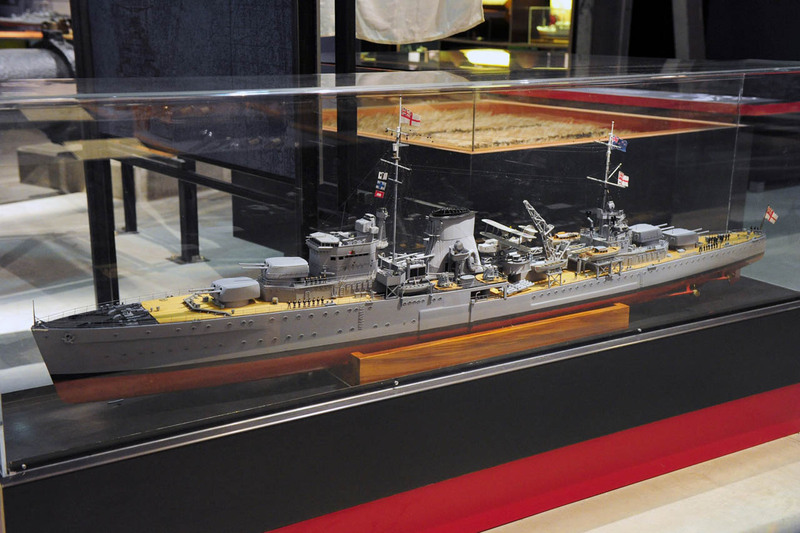 This model was made by Graham Beeson and took 14 months over a ten year period to complete. 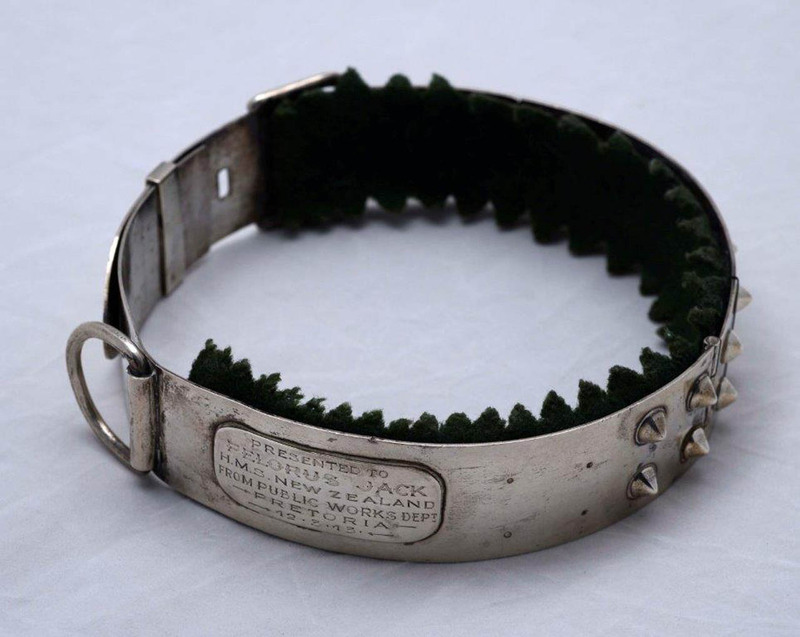 This silver collar is one of two presented to HMS New Zealand’s mascot bulldog, Pelorus Jack. This piu piu was a gift to Captain Lionel Halsey in 1913 when HMS New Zealand visited New Zealand on her world tour, and was meant to provide the ship with good luck if worn during battle. 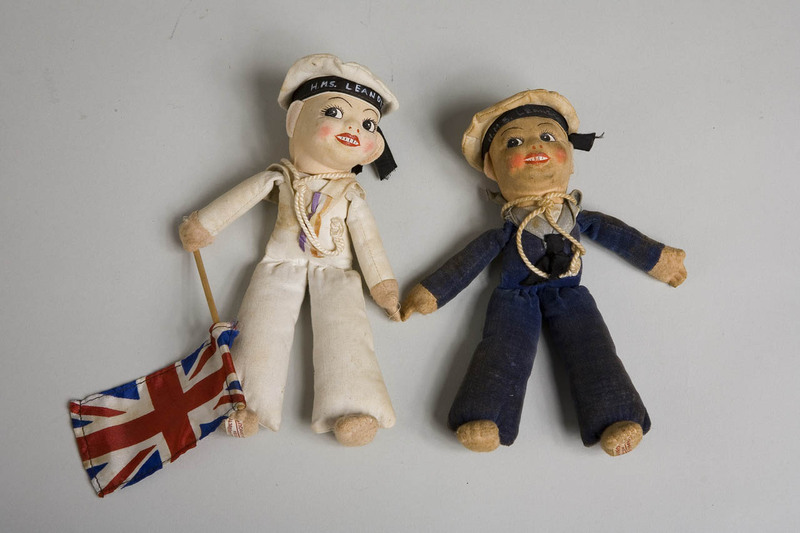 These two sailor dolls were purchased while HMS Leander was attending the Coronation Review in 1927. Sailors would often purchase dolls from the ship’s canteens to take home as presents. 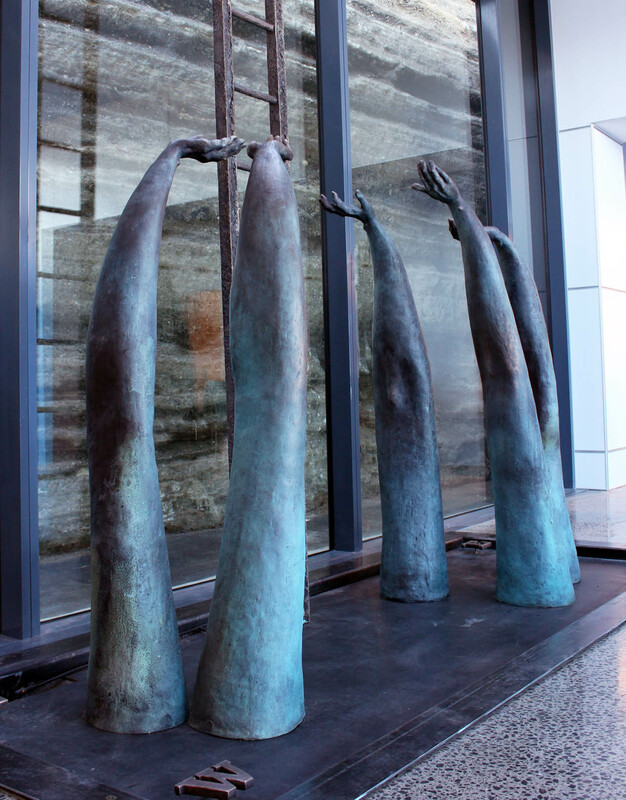 Helen Pollock’s sculpture: As above, so below, honours and commemorates the struggle and sacrifice of the New Zealanders who served at sea during the First World War. Count Felix von Luckner was in command of the German raider SMS Seeadler in the Pacific during the First World War. He was captured and brought to New Zealand in 1917 and interned on Motuihe Island. 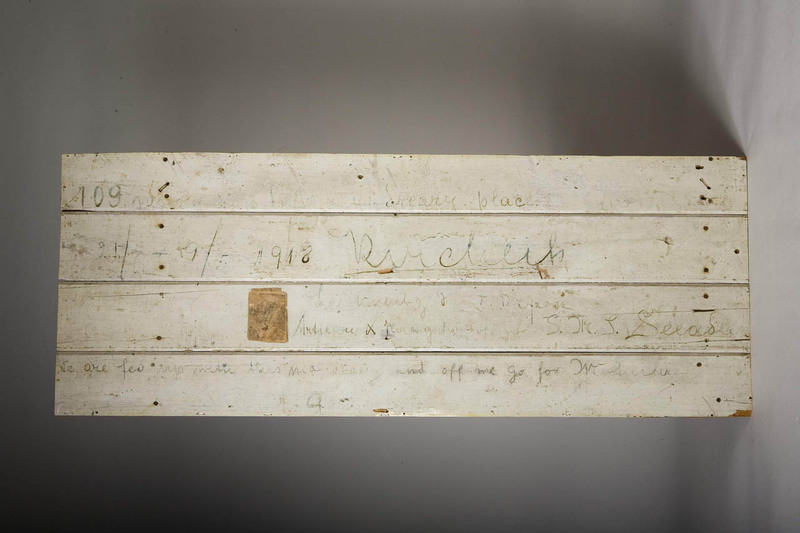 The remains of his cell wall include his musings during internment. 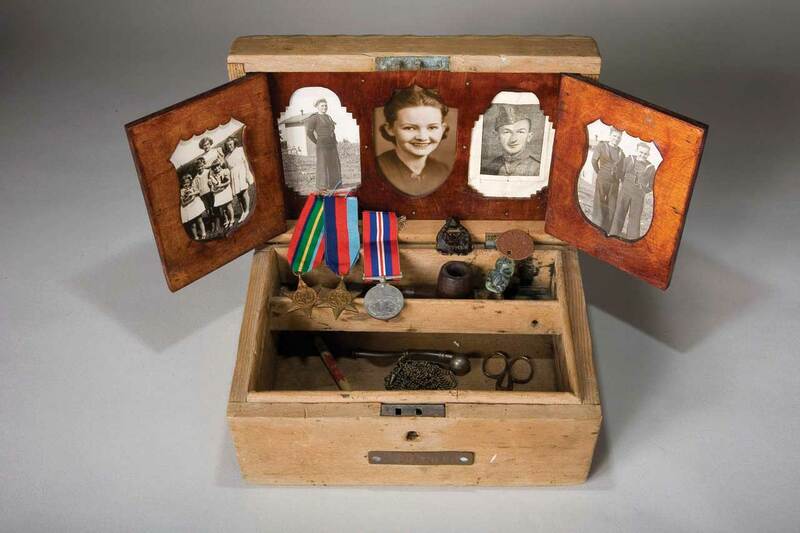 A ditty box – short for a commodity box was a lockable wooden container sailors used to store prized possessions. This one belonged to Temporary Petty Officer Terence Hutchins and dates to the Second World War.